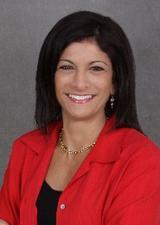 Lori Buck is a Broker/ Sales Associate at Striker Realty in Livingston, NJ. As a full-time real estate professional since 1995, Lori specializes in residential real estate in the West Essex towns of the Caldwell™s, Essex Fells, Montclair, Nutley, Verona, Cedar Grove, Fairfield, Roseland and Livingston. She also services the surrounding communities in Morris and Passaic Counties. Lori has extensive expertise as a listing agent marketing and selling homes, working with first time and move-up buyers, luxury homes, and buyers and sellers who are relocating. Lori has earned the professional designation of Seniors Real Estate Specialist (SRES), demonstrating that she has the requisite knowledge and experience to be a Seniors Real Estate Consultant. According to the Senior Advantage Real Estate Council (SAREC), ™less than 1% of realtors nationally have qualified for this prestigious and internationally recognized designation. With a B.S. in Real Estate, licenses in real estate, securities and commodities and 10 years experience on Wall Street as an institutional sales representative and Senior Portfolio Manager, Lori has a financial acumen that distinguishes her from many realtors. She has always strived to provide her clients with the most timely and comprehensive information available and she prides herself on her personal service. I confirm that I worked with Lori Buck in the buying or selling of this property.